I am currently in the process of growing out my hair to donate to Children With Hair Loss. While I am super excited to be doing this, the long hair is getting annoying! I haven't had my hair this long since 7th grade. Now I usually put my hair in a bun and it will stay in place for a run or workout. I've had friends braid my hair for races, which is great if they have time to do it. I've also been rocking my Sparkle Athletic visors more and more. This is a great way for me to wear my normal ponytail or bun and just kind of wrap the hair around the back of the visor. While both work well, I am looking for other options. My friends don't always have time to braid my hair and I'm not always in the mood for a visor in addition to my sweet Sparkly Soul headband. I still have a couple of months and a TON of races with the long hair. What do you do to keep your long hair in place? 2) I have a need... a need for... pockets!!! 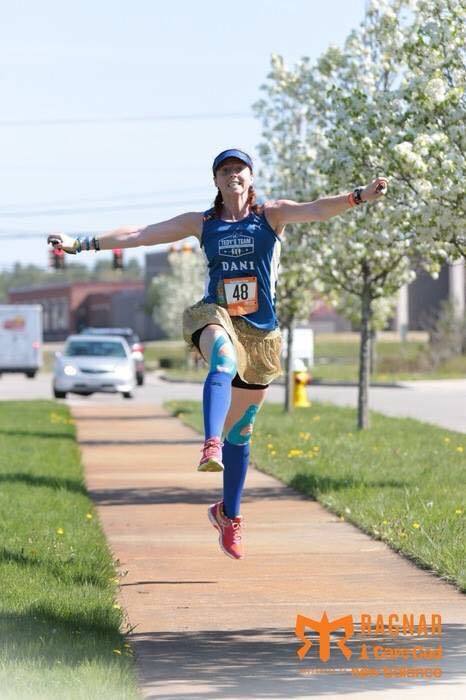 I love rocking my Moving Comfort shorts under my Sparkle Athletic skirts during races/runs. But they don't really offer the space I need to hold fuel - aka KIND bars - for my long runs. As you can see in this picture, the shorts don't have any pockets on the side. So where do I store my fuel? In the shorts. I basically store then again my thigh. They really don't move, but it is more annoying than anything else. I love these Athleta capris because they offer a side pocket. BUT they are a little busy to wear under my skirts. Plus a little hot for the summer. **Note: I have tried running belts, etc and I am looking to avoid using one of those. I don't like running in them. I will continue to store my fuel in my shorts, but trying to find an alternative! Do any of you know of any spandex shorts out there that will fit under my skirts, but offer side pockets? Any help you can provide on either question is MUCH appreciated!! !